Kylie Ulch of Swanton rounds third and scores in a game this season. She was recently selected second team all-district catcher in Division III. Three from the area were recognized as the Northwest District announced their all-district softball teams in Division III. Second team all-district was Evergreen outfielder Myra Kuszmaul. Kylie Ulch of Swanton received second team honors as a catcher. Honorable mention all-district in the area was Gabby Nafziger of Archbold. Pitchers- Ashley Hitchcock, Eastwood; Shelbey Spurlock, Otsego. Catchers- Megan Melcher, Eastwood; Leah Johns, Patrick Henry. Outfielders- Erin Diem, Patrick Henry; Alison Drees, Elmwood; Liz Hall, Elmwood; Makenzie Wilson, Otsego; Jill Hannah, Elmwood. Infielders- Maddy Dyer, Eastwood; Haylee Dominique, Paulding; Hannah Meyer, Patrick Henry; Alissa Ray, Eastwood; Madison Hoiles, Elmwood. Pitchers- Makenna Benschoter, Elmwood; Becca Jones, Patrick Henry; Logan Smith, Fairview. Catchers- Kylie Ulch, Swanton. Outfielders- Faith Frania, Patrick Henry; Myra Kuszmaul, Evergreen. Infielders- Leah Rieger, Otsego; Kendyl Kime, Fairview; Holly Roe, Otsego; Carleigh Coffield, Eastwood. 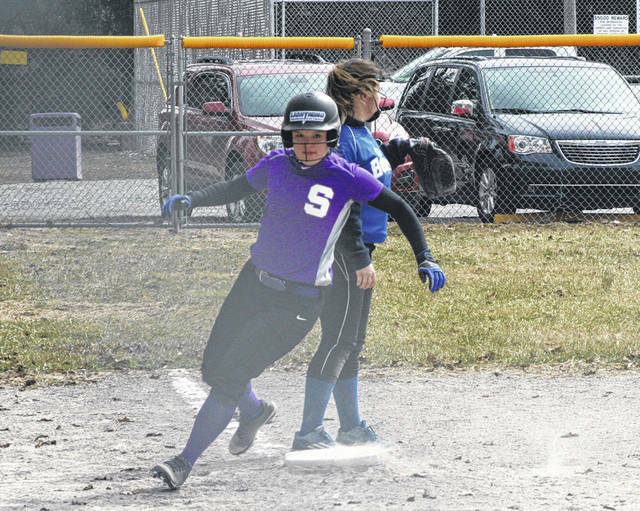 https://www.fcnews.org/wp-content/uploads/sites/45/2018/06/web1_Ulch-rounds-3rd.jpgKylie Ulch of Swanton rounds third and scores in a game this season. She was recently selected second team all-district catcher in Division III.